The Apparthotel Casa Vanessa enjoys a quiet hillside location, a 4-minute walk from central Zermatt and the Matterhorn railways. All apartments have a balcony and free Wi-Fi. The fully equipped kitchens include an oven and a dishwasher. Daily cleaning of the apartments is included in the winter season. An internet corner is at your disposal, you can buy drinks on site, and there is also a laundry with ironing facilities. In the wintertime guests can benefit from free access to the spa area. It is open from 4 p.m. – 8 p.m. and includes a sauna, steam bath and a jacuzzi. 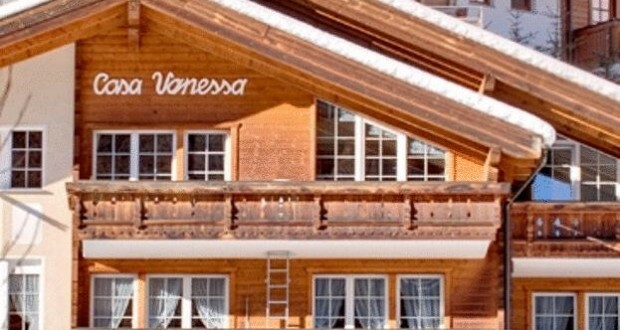 You can easily reach the Apparthotel Casa Vanessa via an elevator through a tunnel. The bus to the stations of the shuttle train, the Matterhorn-Gornergrat and the Sunnegga trains stops at the lower end of the tunnel. Bus shuttle services are included in the ski passes.